What does the future hold for special interest groups? I am a proud member of a few special interest groups, namely the Musculoskeletal Association of Chartered Physiotherapists (MACP) and the Extended Scope Practitioners (ESP) network and was a member of the Society of Orthopaedic Medicine many years ago. There are a number of special interest groups that one could join as a physiotherapist. I am sure that this is the case for other allied health professionals as well. This begs the question of what role special interest groups have, especially in the context of an ever-changing clinical, social, political and educational environment. 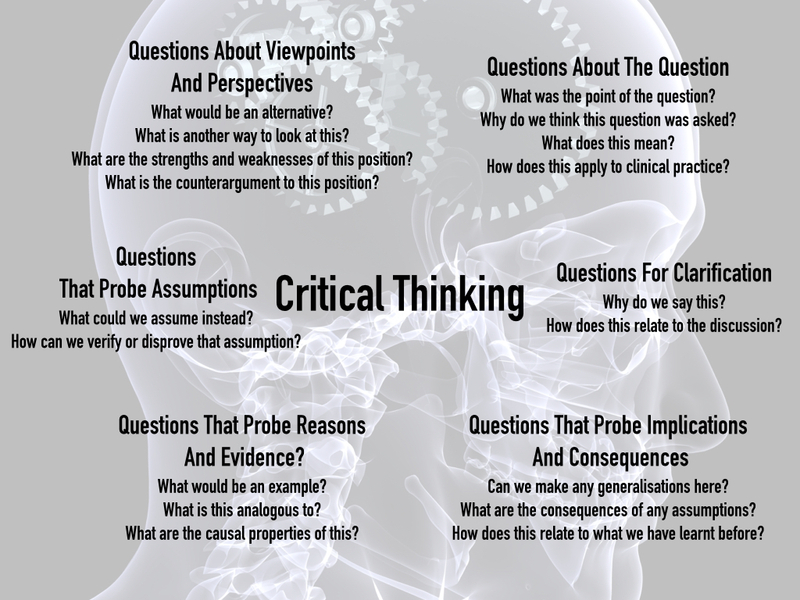 In the spirit of critical thinking, it is worth exploring multiple alternative and counter perspectives to gain greater insight. Making it work: What does the future hold for special interest groups? Organisations in health-care may inform and create the structure by which we work. This is enabled by the provision of strategies, authority, work processes, communication and cooperation. An alternative view to this may suggest that organisational structure stifles practice and development due to bureaucracy limited by rules and procedures. How we view the organisations that we work within, and how they in turn support clinical practice plays a role in how the profession develops, yet any individual that is part of an organisation and wishes to see development needs to perhaps understand the culture of that organisational group and decide whether it is one of innovation and change, or is change resistant. Within Physiotherapy there are a number of relevant stakeholder groups that when integrated lead to a structure by which practice can be conducted safely such as the Health Care Professions Council and the Chartered Society of Physiotherapy. These groups are further linked to professional practice by local organisational cultures such as NHS Trusts, private health-care, professional sport and academia, and with the support of research evidence this leads to the development of practice as well as the individuals themselves. The NHS and health-care in general is in permanent re-organisation, re-engineering and design, and it is well documented that change resistance leads to a lack of strategy and vision, yet it seems the key in dealing with change apathy/resistance is to assume that change becomes routine, and to survive an organisation has to assume that this is the default position. Musculoskeletal physiotherapy has seen a huge expansion of research and underpinning knowledge that provides an ever growing supportive framework from which practice can be grounded, and also developed. Musculoskeletal physiotherapists have developed skills and knowledge that define themselves separately from other elements of the profession, and similar to other areas of the profession is in a constant state of evolution. The core of musculoskeletal practice involving assessment and treatment remains constant; however the extension of practice has also been a feature of flexible, responsive change. The advancement of practice has therefore led clinicians to be members of numerous special interest groups (SIGs) and this multi-membership could be argued to be unhelpful when evaluating and leading further advances in scope. SIGs sit within musculoskeletal physiotherapy and attract similar minded individuals to create organisational structures by which exchanging of knowledge, values and beliefs leads to a validation of one’s own approach to patient care. These interactions and clinical exchanges create sub-cultures that in essence have similar goals, mainly improvement in musculoskeletal healthcare, yet also defining them differently to other similar musculoskeletal special interest groups by description linked to history and previous leaders in that particular field. Commonly, this is an individual, such as Cyriax, Mailtand, Kaltenborn and McKenzie, who by clinical evaluation, research and teaching created separate musculoskeletal sub-cultures and approaches, dominated by their experience, knowledge and beliefs. This has led to the expansion of SIGs that are all musculoskeletal in origin but hold different paradigms in method. There are a number of SIGs all with separate identities involved in musculoskeletal physiotherapy healthcare all having separate committees, constitutions, aims, goals and agendas, with the primary goal being to serve the practice of members in each particular group. A SIGs success however is not just in its history, it is in its future and without expansion and direct relationships with stakeholders, such as patients, GPs, commissioners, students, social care, and the voluntary sector, it could be argued that these groups will have no direct influence on a national scale. Are we at a point where the general public and all relevant stakeholders have no idea what the point of so many SIGs are, or perhaps don’t feel it impacts on them and really what actually is required is a joined up approach and a single community of musculoskeletal practice, that is led by collaborative evidence rather than historical beliefs and concepts. Should professional groups begin to move towards something far more inclusive and representative and be brave enough to deconstruct some of the rigid barriers, to provide a substantial musculoskeletal group that really can influence, lead, develop, improve and support clinicians in providing integrated musculoskeletal health-care? Is it time for special interest groups to redefine what they are in existence for, and to begin to expand and collaborate together with a vision and a strategy that looks ahead at what a substantial group could do to support the ever-changing face of health-care need? Collaboration leads to greater knowledge, far more constructive research support, strength of voice and ultimately an organisation that has a culture of change rather than individual groups that support the membership but perhaps could do so much more in advancing the evidence base and being a “go to” organisation for all national and international musculoskeletal issues. Perhaps it really is time to consider a community of practice group which is described as group of people who share a craft and/or a profession. The group can evolve naturally because of the members’ common interest in a particular domain or area, or it can be created specifically with the goal of gaining knowledge related to their field. Disbanding boundaries, opening up memberships, creating a sub-culture of openness about practice enveloped in best evidence and moving away from the bureaucracy of the number of musculoskeletal groups is a provocative notion, and challenges individuals who wish to remain specifically “linked” to certain described methods of practice, however, do patients, GPs and commissioner’s for example understand all the specific groups in physiotherapy? If the answer is no, then perhaps it is up to us all to make it clear, understandable, accessible and valuable. To do this well is it time to provide one musculoskeletal group/community of practice that really does represent all and delivers real value to our national organisations and patients and can therefore be the way in which musculoskeletal physiotherapy leads the way in a multi-disciplinary musculoskeletal community. Wenger, Etienne(1998). Communities of Practice: Learning, Meaning, and Identity. Cambridge: Cambridge University Press. ISBN 978-0-521-66363-2. Wenger, Etienne; McDermott, Richard; Snyder, William M. (2002). Cultivating Communities of Practice (Hardcover). Harvard Business Press; 1 edition. ISBN978-1-57851-330-7. I would like this post to create an opportunity for discussion and debate. What is the future of special interest groups? Is there need for a change in thinking that represents a larger group of professionals to one common goal, one which is the wellbeing of the people we are trying to help? Please feel free to leave comments and contact myself (@MattLowPT), Clair (@c_hebron) and Neil (@neiljlangridge) on twitter for further debate as much as the platform can allow and once again, thank you for reading. Apologies for not blogging for so long but I am back with a few more perspectives on physiotherapy. Following my first blog on concepts and the importance of their clarity, I thought that I would reflect on the meaning and perception of words from both the clinicians’ and patients’ viewpoints, specifically the words used to convey information to patients with low back pain (LBP). Firstly, I would like to thank Roger Kerry, Associate Professor at Nottingham University (@RogerKerry1) for the inspiration for this post whose content has been derived from his and his colleagues’ work. Have you ever had the difficult experience of conveying an idea, notion or concept to someone? This may be a challenge in itself to a patient but to colleagues in the same profession who are talking about the same thing it can still be tough. You only have to experience a clinical debate online on twitter to get a sense of this using only 140 characters. Understanding the context, frame of reference and technical language are all exaggerated on this platform but it can be highly compelling and potentially misinforming! If all of this occurs in professional discourse, what happens in clinical research? If physiotherapists value clinical research highly as a form of evidence in evidence based practice (EBP) then is there a risk of exploring or evaluating something that is inaccurate in reference to the focus of the study? Or believing that it is indeed correct and then perhaps misinforming clinicians who then use this ‘evidence’ in a clinical setting inappropriately or out of context? Putting the spotlight on ourselves: Governance to improve practice. Reflections of a Dinosaur: Big R’s, the patient narrative and a final thought on myths in the debate on manual therapy.